BEIRUT, LEBANON (2:40 P.M.) – The Turkish military sent another large convoy into northwestern Syria on Friday, several local activists reported via social media. According to reports, the large Turkish military convoy that entered northwestern Syria on Friday consisted of several trucks carrying cement blocks and equipment. The Turkish military convoy reportedly entered Syria’s Idlib Governorate from the Hatay Province and made their way to the nearby Hama Governorate, where they delivered the equipment and personnel to the observation post in the town of Morek. This latest move by the Turkish military comes just days after they sent a delegation to meet with the residents of southern Idlib in order to propose an offer to rent out their lands so that they can build more observation posts and block the Syrian Arab Army’s (SAA) potential offensive inside the governorate. Currently, Turkey has a dozen official observation posts inside northwestern Syria and an unofficial one inside the northeastern region of the Latakia Governorate. The Sultan is playing Cyprus 2.0 in Idlip and vicinity. They ( some ) said he did intend to expand his Sultanate many moons ago. A fox always tells you he is only there to protect the chickens when caught prowling outside the chicken coop. … they will be destroyed as lunaders. Great Turkey will be the death of Israel. @Pink, Israel, Egypt, KSA… consider the Sultan a danger. IMHO alliances exist. The victors of any coming war will distribute the Sultanate’s assets among the interested parties. This will include Eastern Anatolia for Kurdistan, Hatay for Syria and a other chunks for Armenia and Greece. Turkey will become post Iraq Saddam Hussein if he dares takes on israel israel will turn Turkey into dust. Israel is not as miliary and economically weak as Greece, Kurds or Egypt. Besides most turkish airforce officers are in Jail or have seek Asylum in Greece. Besides most of Arab countries have switched sides and are against Turkey. The question is when is the next military coup in Turkey. The mad ErDogan has created many foes from Greece, Egypt, UAE, Libya, Saudi Arabia Israel, China etc. lunaders? I really think that many having the fantasy to fight the Yahudis don’t know a shït about military stuff. I sincerely pity the next idiots starting an all-out war against Israelis. The Turks in Europe are ready to join the Erdogan army.The best German women gave birth to Turkish soldiers.The end is close. Erdogan will write the last dot in the Israeli book. those fighting under the cross were crusaders. those fighting under a half moon are lunaders, or in present day english, lunatics. Soon, the great brave Erdogan army will go to Golan.The Turks in Europe are ready to join the Erdogan army. 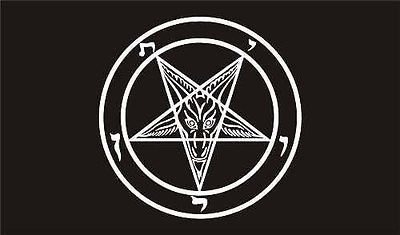 Satan’s “star” is a meteorite located in Mecca… In magics, black or white, they like the Pentagram, like on Morroco’s flag, inside a circle. The David’s star symbolic is very different! King David was a very “hot” dude. A triangle pointing down ALWAYS symbolised a püssy. A triangle pointing high ALWAYS symbolised a dïck. The David’s Star = a couple while making love! Jesus’ five wounds were set by the Jews. Jesus’ wounds.Up one head, in the middle of two hands, below two legs. the report says : a few trucks. Is that supposed to be a large convoy? less sensationalism is called for. Saturn is Yahweh and therefore the Izraelians have a satan star on their flag. Guess what? Most of Jews you may encounter don’t give a fück about bigotry! Show me a racist that does. Sultan Erdogan will release Golan. Soon, the great brave Erdogan army will go to Golan. Sultan Erdogan will take Golan. Let the Great Turkey live! The Great Free State of Turkey, led by Sultan Erdogan. a rabid dog a sultan? Does not show much wisdom in the muslim world. The only way for the turkish muppets to take the Golan is if they first take Syria, which will be easy as Assad is handing over large parts of hisccountry to all interested. What a fool. Some things can not be prevented. Turkey will be big. A very large NATO member state. Driiiiin! It’s time to wake up from foolisg GENOCIDAL ‘dreams’!